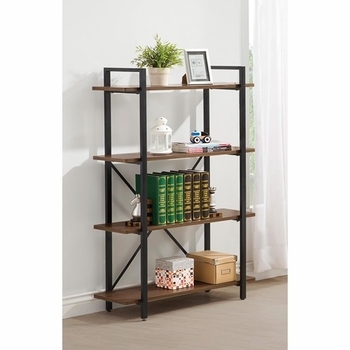 You can have industrial inspired design for your home's decor with this bookcase. It features a black metal frame with light brown finished shelves. 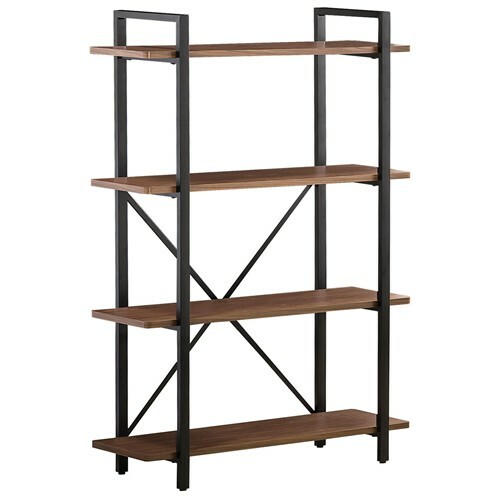 The bookcase is finished an X-shape brace at the back for added support and style.